Featuring a feminine elegant scalloped edging, this pair of striped shorts from Mystere Paris is an elegant addition to your nightwear wardrobe. It offers the required support. Made of good quality cotton fabric, it is light in weight and will be soft against your skin. 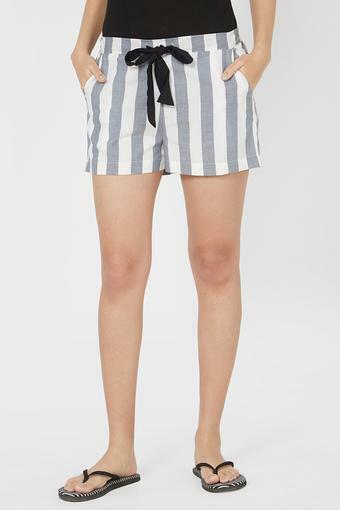 Tailored with care, this pair of shorts will be an ideal pick for you to wear while you relax at home. It can be teamed up with a top to complete your stylish look.